The Kalahari Meerkat Project was founded by Prof. Tim Clutton-Brock (University of Cambridge) in the Kalahari desert, South Africa in 1993. It is a long term project which mainly aims at studying the behaviour of a cooperative breeding mammal. 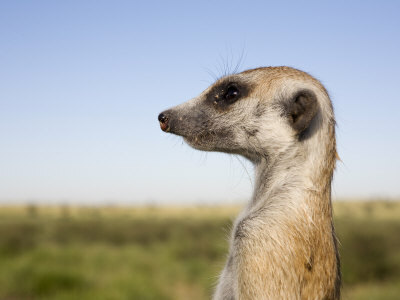 Meerkats (Suricata Suricatta) are cooperative breeding mongooses found in the Southern part of Africa. I would like to chat about my experience of being a part of and working at the Kalahari Meerkat Project! -How is it BETTER than windows? -Which distribution should you use? -Simple command-line usage, directory navigation, file-display, program execution, etc. -Concept of working with shells (bash, sh, etc) in Linux. Very simple shell programming. -Beyond MEGA4: Other useful (and sometimes BETTER) Linux-only phylogeny packages. -GUI-based programs: Installation issues and usage, with examples. -Brain (optional: with both hemispheres in working order). How to follow updates on the site. How to blog on it. How to comment and follow other comments. How to add and organise media (photographs and videos). …and troubleshooting any other issues. This is also an underground session because we would love to hear what you have to suggest to make the ESS website better and more interactive. Darwin said “No animal in the world is so dangerous as an elephant in musth”. Musth is a temporary sexually heightened state in male elephants lasting from a few weeks to several months. Many mahouts would agree with Darwin because their captive elephants refuse to obey commands during musth and at times even injure or kill them. Over the past thirty years scientific papers on male elephants have always mentioned “musth” and “aggression” together. But naturalists M. Krishnan and E. P. Gee have both noted that musth elephants in the wild seem harmless – no more dangerous than non-musth elephants. When I studied male-male combats for mates in elephants in Kaziranga, I was pleasantly surprised, highly intrigued but extremely worried that I didn’t have data on “combats”. I’d like to show you some examples (videos) of how musth elephants “fight” or rather not fight in a manner that I imagined fights to be. What I thought were outliers (at the beginning of my field work) turned out to be the norm in over 140 male-male interactions. I’ll briefly mention how game theoretic models of animal conflict provide an explanation for this lack of physical aggression in male-male combats. Fighting strategies that do not involve physical aggression are termed “mouse” strategies. Hence the title. In reality mice are a lot more aggressive than elephants. 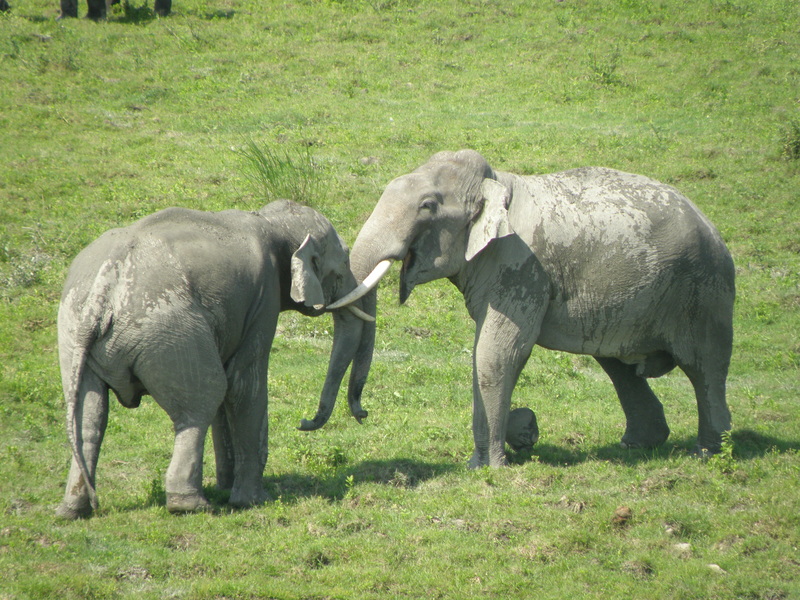 Well primarily I just want to share with you some rather amusing videos of elephant “fights” and the joy of field work in beautiful Kaziranga. So don’t expect too much of Darwin and game theory. Students of MRDG are organising a Students Symposium on September 1st 2012. 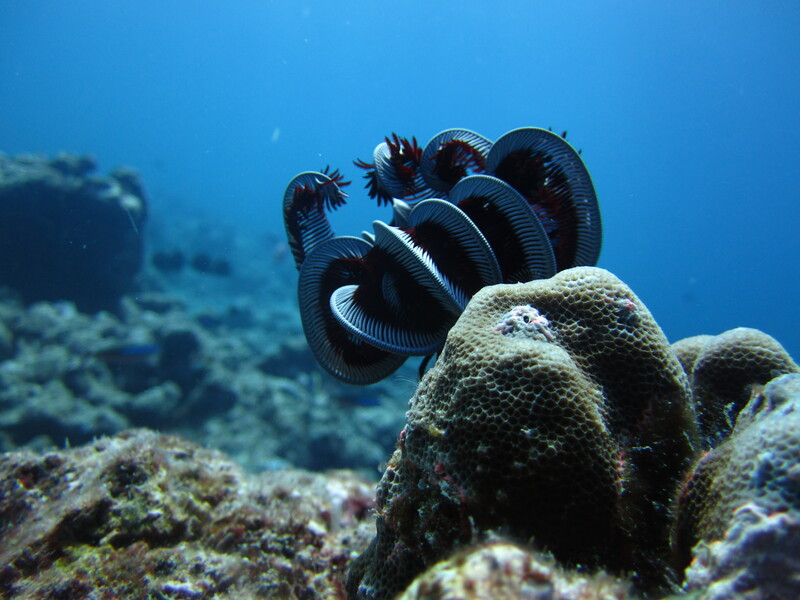 The theme of the symposium is – “Leaps and bounds in biology: important advances of the last decade”. A student representative from each of the biology departments of IISc is required to present a 45 minute talk on the advances in the field of study in the last ten years – in our case, ecology. The underground session this Thursday will be for a discussion of the likely sub-topics that could go into such a presentation. Ecology is a huge theme by itself, and the task of putting up such a presentation is a daunting task for just one person. So we would like this to be a team effort, and with discussion and brainstorming we can home in on what sub-topics should constitute the theme of the symposium. This will be a useful discussion for all! 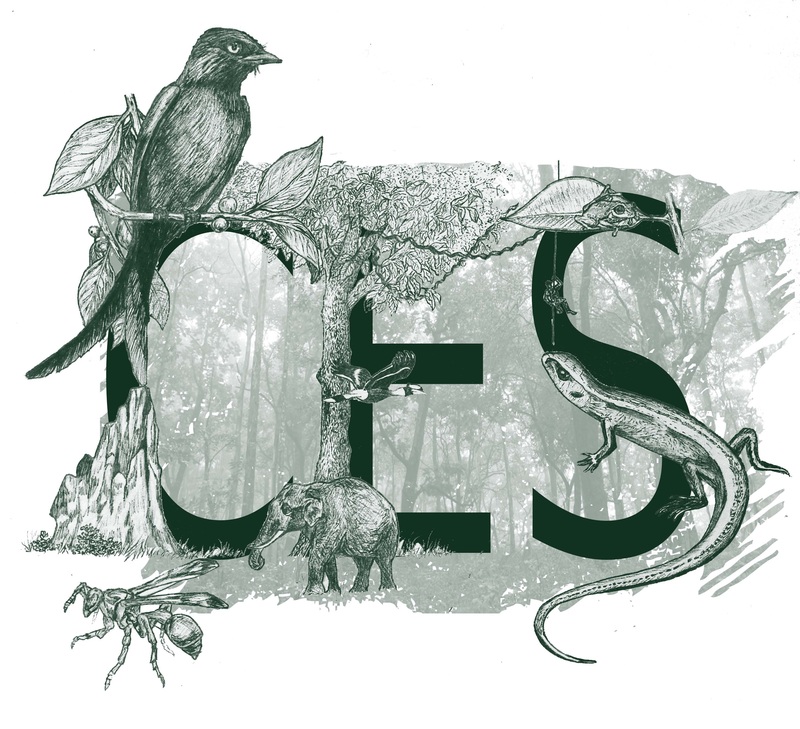 So we would like you to choose your favourite Ecology sub-topic, may it be behavioural ecology, biogeography or any other and read up seminal works that have changed the way we look at that sub-topic in the past decade or two. Let’s meet and discuss the structure of our topic presentation and who’ll present for our department! The story of the incredible adventures of two PhD students and an NCF marine biologist (before, after and) in the Lakshadweep Islands in the winter of 2011. (Mostly Pictures, very little talk).